Explore Nelnet, the largest student loan servicer in the U.S., and learn its benefits and downsides. Among its strengths: A website that lets you view your student loan balances, make payments, and even apply for forbearance or income-based repayment plans. Biggest weakness: Customer service. When you finish school and your grace period ends, suddenly you'll have to start repaying all those student loans you took out. Instead of sending checks directly to the U.S. Department of Education, the government agency transfers your student loans to a "student loan servicer"—a company that handles all the billing and processing of your student loan payments. Nelnet is the largest of these student loan servicers, having recently acquired Great Lakes Educational Loan Services, Inc.—another large student loan servicer—in early 2018. The resulting company from this major acquisition will service $455 billion of student loans for 16.2 million borrowers, including $397 billion in government-owned student loans for 13.4 million borrowers. Odds are, if you have a federal student loan, you will have to work with Nelnet when it comes time to repay it. That's because the Department of Education doesn't give you a choice as to which student loan servicer to use. That's not a bad thing, per se. Nelnet's secure website offers you the ability to view your student loan balances, pay your monthly student loan payments, and even apply for forbearance or income-based repayment plans. Some customers, however, report that Nelnet's customer service isn't very helpful, or that their payments were applied incorrectly. Read on to see how you can maximize your experience working with Nelnet. While you don't get to choose a student loan servicer, Nelnet offers a secure website and app that encrypts your personal information to keep it safe and also helps you organize your student loans and payments. Would you benefit from an online dashboard that will help you view your student loan balances along with payment amounts and payment deadlines? Are you still in school, temporarily unemployed, or ill, and need to learn more about applying for student loan forbearance? Is your monthly student loan payment more than 30% of your monthly paycheck, and you'd like to explore income-based repayment options or student loan forgiveness? If you answered yes, then Nelnet's online resources for student loans and customer service hotline may be helpful. Nelnet offers online tools and an app that make it easy to view your student loan balance(s) and make your monthly payments. Sign up for auto-pay and save. Your best bet is to sign up for the auto-debit program, in which Nelnet will automatically deduct your monthly payment from your checking account. Signing up for autopay saves you from late payment fees and also qualifies you for a 0.25% interest rate reduction. Get reminders via text message. Another helpful option to take advantage of is Nelnet's free text reminders for when your payment is due. This will ensure you won't be late in making payments despite your busy schedule. For many of those trying to attain student loan forgiveness because they are on disability or work in the public sector, working with Nelnet to approve these requests has been very difficult. Unhelpful customer service. According to reviews, different customer service agents will often give conflicting responses. And the company frequently requests additional paperwork, or doesn't process paperwork in a timely manner. Many customers reported their paperwork getting lost. Don't wait until the last minute. Many customers said that payments took more than five business days to be applied to their accounts, resulting in missed payment deadlines and costly late fees. Though it might be difficult when you're on a tight cash flow, aim to pay your bill right away to avoid this. Be careful when paying more toward your loan. Generally, it's good advice to throw any extra money in your budget at your student loan, so that you pay it down quicker and avoid extra interest costs. However, be sure when you send in extra payments that Nelnet is applying it toward the principal and not the interest. Otherwise, your actual loan balance will not decrease. While other student loan servicing companies exist—including Navient and MyFedLoan—you can't choose which company to work with. Instead, the U.S. Department of Education decides which company should service your loan. The only way to switch to a better loan servicing company is by consolidating your student loans if you have several. Doing so may help by giving you only one payment to worry about—but you'll need to make sure your loans qualify for consolidation. There are many complaints about the other student loan servicing companies, so it may not be worthwhile to consolidate just to work with one of them. A better option—if you have good credit and earn a large income—is to refinance your loan with a private company like SoFi. People who refinance their student loans with SoFi save an average of $288 a month—and a total of $22,359, according to the company. SoFi's fixed rates begin at 3.4% APR and variable rates start as low as 2.63% when you enroll in auto-pay. 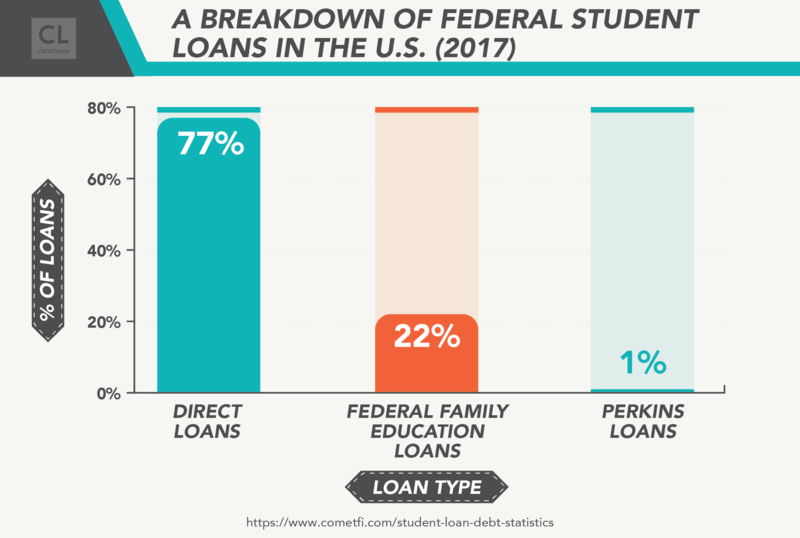 Meanwhile, Nelnet is required to stick to the federal government's interest rates, which are currently set at 4.45% APR for undergraduate Stafford loans, 6% for graduate school Stafford loans, and 7% for Parent PLUS loans. Note that these rates are the latest prescribed by the government, so if you took out the student loan years ago, you may be paying a different interest rate than the rates listed above. With interest rates still at historic lows, banks and private companies like SoFi can offer you even lower interest rates, saving you money. For example, if you have $30,000 in federal loans costing 6% a year in interest and SoFi qualifies you for a 3.4% interest rate, you'll save more than $700 a year in interest by refinancing with SoFi! You need good credit for SoFi. Of course, there's a catch. To secure SoFi's lower interest rates, you'll need an "Excellent" credit score (over 700). Salary in the six figures. You'll also need to demonstrate a solid income to qualify for a SoFi loan—the median income of SoFi borrowers is $106,000. So if you're not a high earner and your credit is spotty, you probably don't have a choice but to stick with Nelnet. Another reason to stay with Nelnet: the ability to qualify for loan forgiveness or income-based repayment in the future. Don't get rid of these loan options. If you work in the public sector and qualify for student loan forgiveness—or are thinking of heading back to school—you may want to stick with federal loans managed by Nelnet. Once you refinance with a private company like SoFi, you're no longer eligible to apply for the federal government's income-driven repayment options or loan forgiveness programs. While SoFi does offer loan forbearance due to a lost job or health issue, it can change its policy at any time since it is not mandated by the government the same way Nelnet is. And while the Fed will pay the interest accrued on your subsidized loans while you pursue further education, private lenders won't. No, Nelnet is a legitimate company based in Lincoln, Nebraska. It is one of the largest student loan servicing companies in America. Nelnet owns more than 50 subsidiary companies that administer student loans throughout the United States and Canada. In addition to providing customer service for student loan borrowers, technology related to student loan customer service, and outsourcing services for guaranty agencies, Nelnet oversees tuition payment plans and is involved in education planning, enrollment-related services, and higher education planning tools. Nelnet offers several services to help you manage your student loans. View your loan balance. Log into your Nelnet account and view your student loan balances so that you're aware of just how much debt you're responsible for paying back. Calculate your monthly payment. Nelnet can help you estimate what your monthly payment will be once your grace period is over, which is when your loan will come due and a monthly payment will be required. If you can't afford the monthly payment, don't fret. First, don't ignore the bill. Doing so can ruin your credit and make things worse thanks to late fees and additional interest. Consolidate your loans. Having trouble keeping track of several different loans? If they are all federal loans, you may want to consolidate them into a single loan so that you only have one payment to worry about each month—and fewer late fees. Typically, your new consolidated loan will feature a weighted average of the interest rates on the loans being consolidated. Repay based on your income. If you can't afford the standard monthly payment on your student loans, there are many different repayment options you can qualify for that take into account your income. Some require as little as 10% of your income. If your income is low enough, you may even qualify for a $0 monthly payment. Visit the Repayment Plans page on the Nelnet website to learn more. Just be aware that any option that results in a lower monthly payment will end up stretching the overall duration and number of payments, thereby costing you more in interest over the life of your loan. Seek student loan forgiveness. If you work full-time for a public service organization or school, you may qualify for loan forgiveness after you make 120 student loan payments. You'll need to certify that your employer is eligible for this program on an annual basis. How do I get started with Nelnet? About 60 days before your first student loan payment is due, Nelnet will mail you a letter informing you that it is your student loan servicer. The letter will include instructions on how to register for an online account to view your balance and make payments. How do I stop using Nelnet? The easiest way to stop having to deal with Nelnet is to pay off your student loan balance in full. If that's not feasible, you can consolidate your loans using a different student loan servicer or a private bank. How do I contact a human? To reach a customer service representative, call 888-486-4722 from 7am–2am (Eastern) Monday–Friday and 8am– 7pm on Saturday. Do borrowers with a good credit score get lower interest rates? No—all Nelnet interest rates are based on the governmental interest rate at the time you took out the initial loan. If you consolidate your loan with a private lender, however, you may be offered a better interest rate as a result of your good credit. What happens if I'm late on a payment, don't pay the loan back, or default on the loan? You are considered delinquent the day after your payment was due. For example, if your payment was due on May 15, and Nelnet doesn't receive your payment, you are considered delinquent as of May 16. If your account is 90 days past due, the delinquency will be reported to the four national credit bureaus and can negatively affect your credit score. What should I do if I'm having trouble making my monthly payments? Log in to your Nelnet.com account and click Lower My Payments to request a different repayment plan or Postpone My Payments to apply for a deferment or forbearance. Can I pay a Nelnet loan off early? If so, what is Nelnet's interest penalty for early payoff? Yes, log into your Nelnet account to request a payoff amount, which includes any fees and interest. There is no penalty for early payoff. Within approximately 45 days after receipt of the payment, a letter confirming the payoff will be mailed to the current address on file. I just graduated from school and do not have a job. Do I have to pay off my loans while I am still finding work? Yes, once your grace period ends.You can apply for a deferment by logging into your Nelnet.com account and clicking Postpone My Payments (Deferment/Forbearance) on the left of the page. Please note that interest will continue to accrue during the deferment period. Can I have more than one loan at the same time? What is Nelnet's BBB rating? Nelnet scored a B from the Better Business Bureau. The company has more than 500 customer complaints on the BBB website. Does Nelnet affect my credit score? Yes. If you don't pay your loan payment on time and are more than 90 days past due, Nelnet will report this to the credit bureaus and this will impact your score in the near term. Can I claim the interest paid on my student loan when doing my taxes? Generally, yes, but it is recommended that you check with your accountant. Which credit bureaus does Nelnet report to? Innovis, Experian, Transunion, and Equifax. Can I consolidate my student loans with Nelnet? Yes. The Nelnet website provides detailed information on the loan consolidation process. Can I apply for a deferment to my payments? Yes. Log into your account to explore deferment options. What is the Public Service Loan Forgiveness program? Do I qualify for it? The Public Service Loan Forgiveness (PSLF) program forgives the remaining balance on Direct Loans after you have made 120 qualifying monthly payments under a qualifying repayment plan while working full-time for a qualifying employer, such as a governmental organization, not-for-profit, or educational organization. For more information and to access the Employment Certification Form, visit the Federal Student Aid webpage. Are there any tax implications to receiving loan forgiveness? Yes, since a forgiven loan amount counts as income, you may need to pay taxes on the amount forgiven. I have claimed bankruptcy. What will happen to my loan? 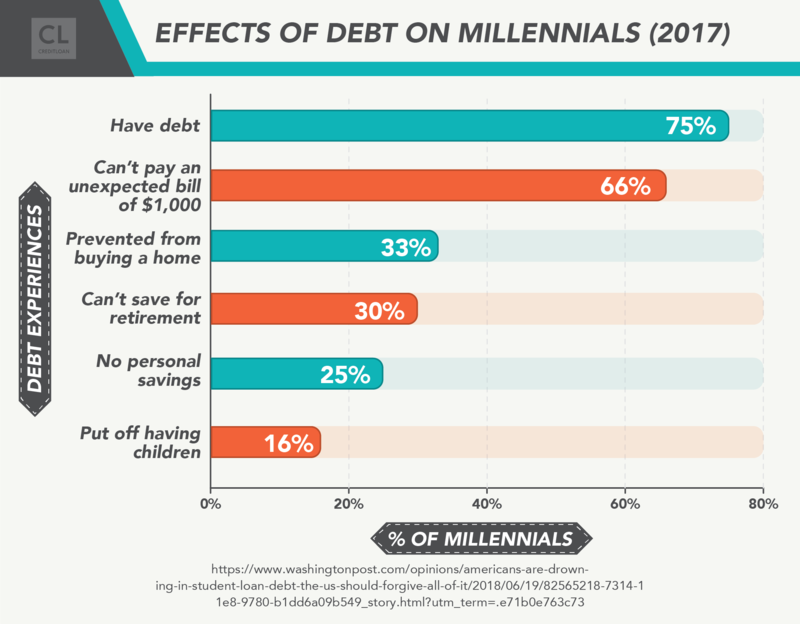 Student loan debt is rarely forgiven, even during bankruptcy. Though you may not have chosen Nelnet, it offers helpful tools and an app to aid you in keeping track of your student loan balances and payments. Sign up for autopay to prevent late fees, and make sure your payments are credited appropriately and that you aren't double charged. And while Nelnet offers several options to help you lower your monthly payment, or even defer payment temporarily, it's important to understand that if you go down this path, you will pay more over time due to accrued interest. Your best bet is to work hard to pay off the loans in full and be done with Nelnet for good. Is Nelnet handling your student loan? How has their service worked out for you so far? Any stories or useful tips on dealing with Nelnet you'd like to share with the rest of us?